Whispower is a renowned name in the industry for its manufacturing of silent diesel generators. It has firmly established itself as a leading diesel generator manufacturer of the country. Apart from manufacturing & supplying generators in India, it is also involved in exporting DG sets to overseas. 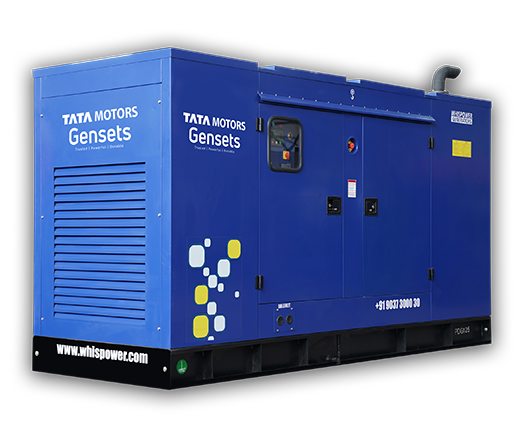 We are the leading diesel genset manufacturers in India since 1990 and are powering world’s business giants since last 3 decades with our High-tech diesel engine. Whispower DG sets are compliant to the emission norm CPCB-II and are eco-friendly. The generating sets are designed for reliability, durability and economical operating cost and are well supported with genuine parts availability and service capability Throughout the globe strong dealer networks. Applicable for supplying power to varying electrical load for the duration of power interruption of a reliable utility source. Emergency Standby Power (ESP) is designed for 200 hours in a year. Emergency Standby Power (ESP) in accordance with ISO 8528. Fuel Stop power in accordance with ISO 3046, AS 2789, DIN 6271 and BS 5514.